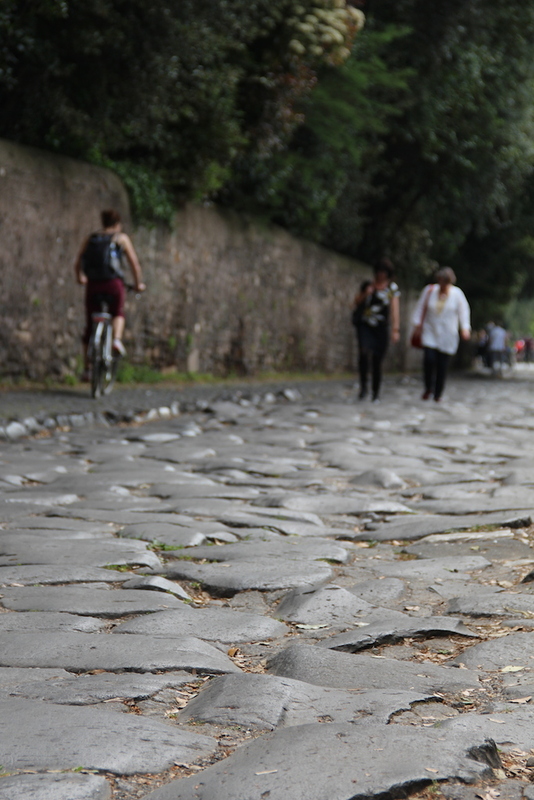 Built on seven hills, streets paved with cobblestones and infamously chaotic traffic; the bicycle is not the first mode of transportation that comes to mind in Rome. Of course Rome is famous for those other two-wheelers, Vespa’s, Piaggio’s, other scooters, motorbikes and also a wide array of microcars, which are suitable to drive and park in the narrow streets of the historic center. It’s these vehicles that dominate the Roman streets, with a seemingly menacing dog-eat-dog attitude, a true survival of the fittest. As a result, it’s mainly the fanatics who ride their bikes. 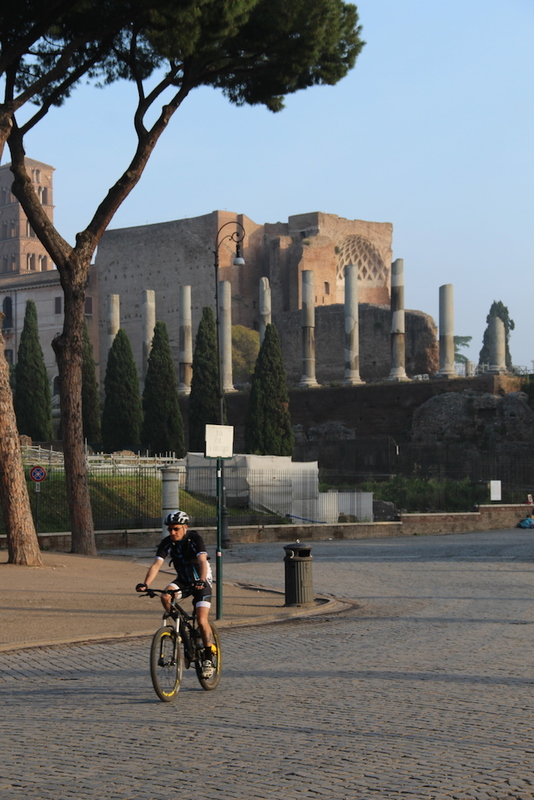 To be fair, Roman traffic is not as bad as it seems and cycling in Rome is well worth trying. The best strategy is to adapt to the speed of the surrounding vehicles and to be assertive and commanding. 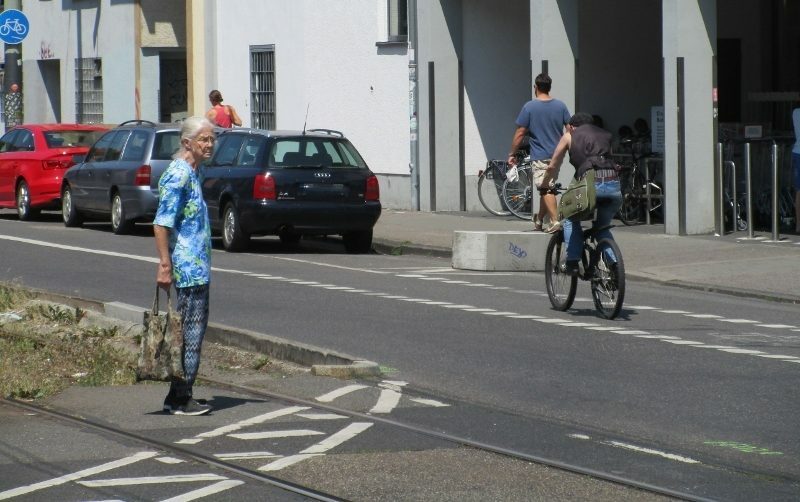 Try to crank it up a notch and you find yourself riding at the same speed as the others, spotting gaps to sneak through, pass moving buses, inattentive pedestrians and open vehicle doors. Once you get into the rhythm, you’ll be cruising past il Vittoriano, the Colosseum or riding the banks of the Tiber, but you’re still one of the few. Away from the city center there is much more cycling going on. 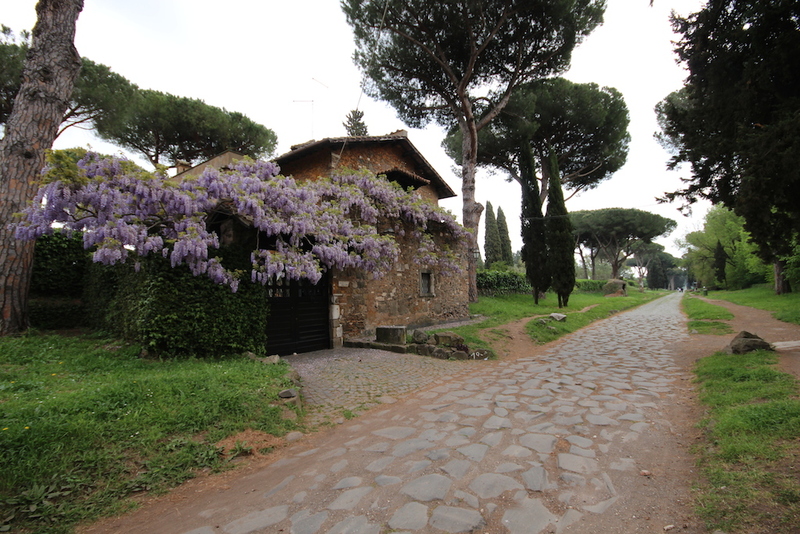 The historic Via Appia Antica is a visually attractive route for tourists and the nearby Parca della Cafarella is a popular leisure destination for cycling Romans, with several paths shared with pedestrians. 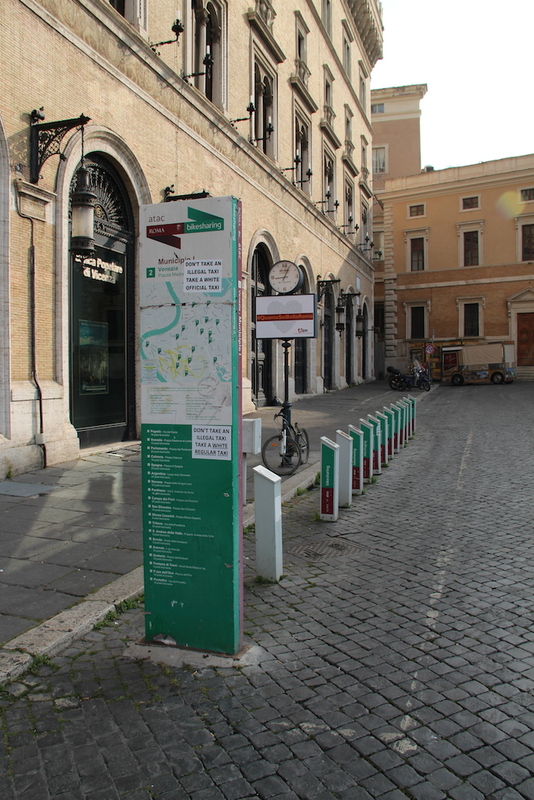 But as long as cars are still a status symbol and parking your car in front of your house – even in the narrow ‘vicolos’ – still seems to be one of the basic rights, a wider use of the bicycle in Rome is not to be expected any time soon. The bad condition of the roads and the absence of cycle paths also prevent cycling to gain a bigger fan base. 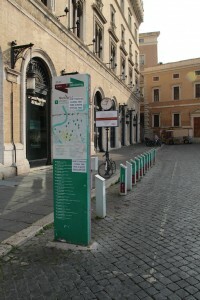 Rome might not have the best cycling conditions, but there are plenty of bicycle advocates and ‘bici fanatici’ in Rome. Comparable to major cities elsewhere in the world the awareness for bike riding in Rome is raised by organizing bicycle events for large crowds. The global movement Critical Mass organizes periodical tours, which often become a true cycling party, with people dressing up, playing music, blowing whistles and ringing their bells. 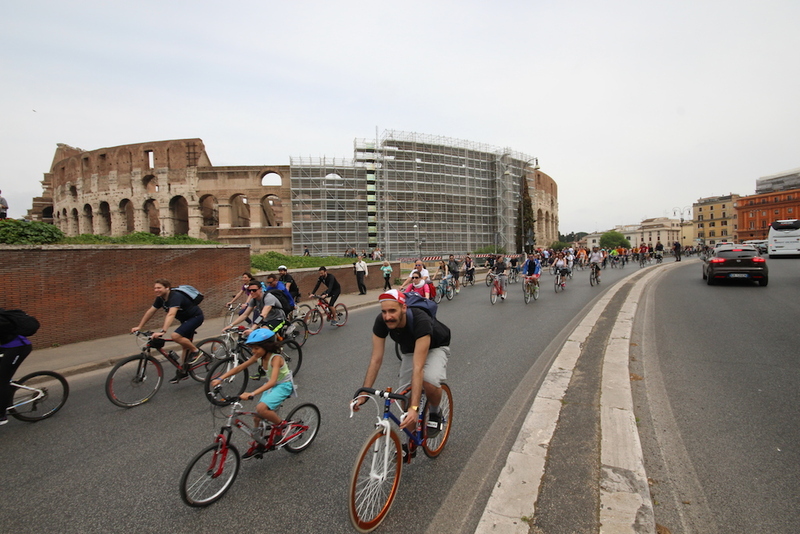 There is also Rome’s own BiciRoma, whose main mission is to raise awareness and to convince the Roman municipal government to improve infrastructure and services for cyclists. BiciRoma organizes several cycling events and tours throughout the year, such as the BiciRoma, Festa della Bicicletta. Interestingly BiciRoma is sponsored by KLM and the Dutch Embassy to promote the Dutch cycling culture, similar to the sponsoring of the ‘Ulice za bicikliste’ and ‘Beograd Velograd’ events in Belgrade. One of the strong advocates of cycling in the city is mayor Ignazio Marino, who is a cyclist himself. 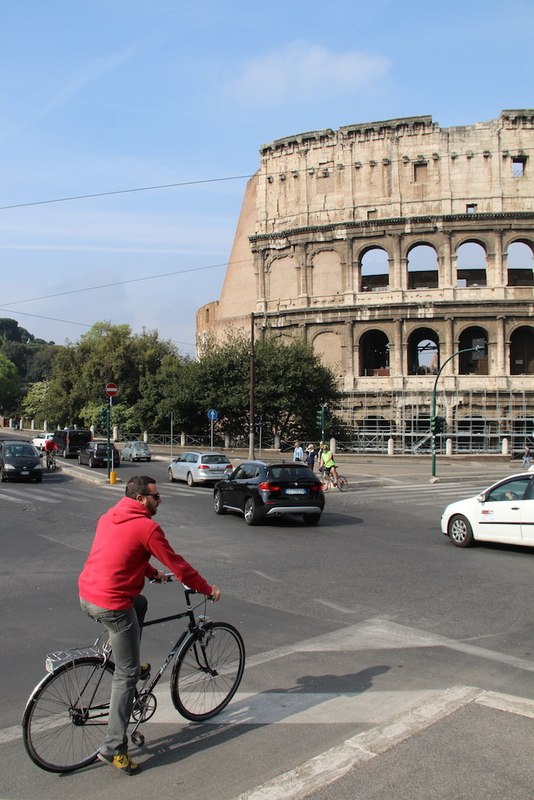 Since his election in June 2013 the center-left mayor has banned cars on the Via dei Fori Emperiali (the avenue that links the Piazza Venezia with the Colosseum) making it friendlier for cyclists and pedestrians. He continues working on similar plans for other roads. In recent years bike sharing programs have become a familiar element in many cities worldwide. The ‘Boris Bikes’ in London, with over 10,000 bikes, are amongst the best examples of a successful and easily accessible bike sharing scheme that provides a quick and fun alternative for the heavier modes of transportation. The City of Rome did make an effort. In 2008 the bike sharing program “Roma ’n Bike” was introduced, but it soon lost momentum. 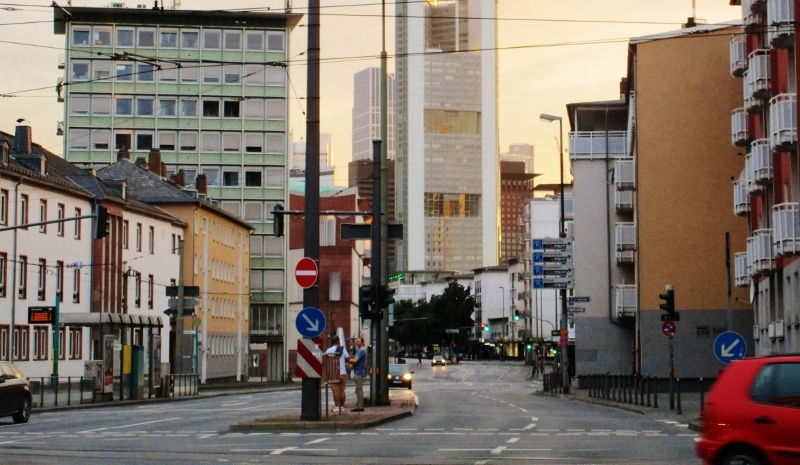 Having troubles continuing the pilot program by a domestic company, the city put the public-transit agency in charge of the program in 2010, but the agency proved incapable of its new task and many bikes broke down or were stolen. Also the tariffs were unattractive because it charged users from the start of each ride, instead of giving them the first half-hour free as in most other programs. Finally in 2011 a new attempt to privatize the program by offering ad space in exchange for managing the bicycle sharing service was overruled by a local court, because the ad space hadn’t been clearly defined. There was no follow-up and it led to the decline of the program. It is a sad story and it has become a favorite topic for journalists and bloggers. Alessandra Migliaccio has written a detailed article about the failing Roman program and Massimiliano Tonelli has a blog (in Italian) where he keeps track of all the ups and downs. 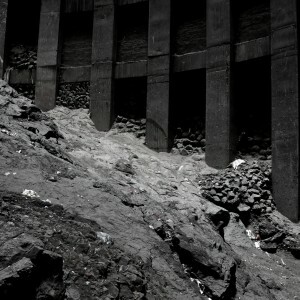 But there could be light at the end of the tunnel, instigated by the Pope himself. 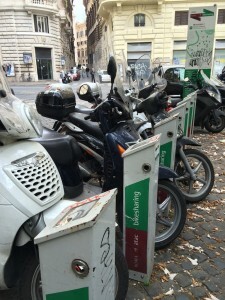 The Jubilee Year 2016 – which was recently announced by Pope Francis – and the thousands of pilgrims that will be visiting the city, seem to have created a sense of urgency to make a profound change in Rome’s mobility policy. On the list is the construction of bicycle friendly roads and a serious attempt to revive the bike sharing program. History threatens to be a bad omen, but we’ll have to wait and see if this time it will catch on.